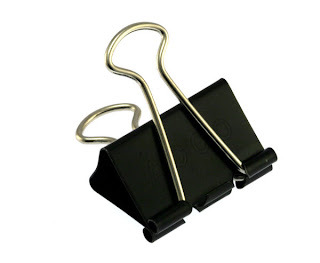 to hold up an unraveling hem on my dress pants for the past month. No way, that would be kinda, sorta tacky! Then, when the hem went out all the way, there is absolutely no way I wore the pants again… TWICE! Are you kidding, I am so much more classy than that! So, when I saw one piece of hail fall out of the sky and hit my hood as I was driving, I absolutely did NOT become so amazed and distracted that I almost crashed my car. 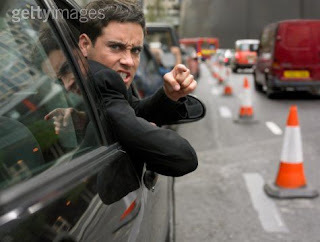 I did NOT pull out in front of a car a bit too close and the other driver did NOT blare his horn at me. No way. And he did NOT angrily make a special waving hand at me. Oh, I think it was a finger. No, that whole tale would be ridiculous if it really happened. And if I actually did do the above, I would NOT admit to it. To tell of such a moron thing to many of you readers who are having a nightmare winter would just be embarrassing. I did NOT have a major chocolate craving last week when my husband was gone to work. If I did, I would NOT have remembered that I had bought him green M& M's for Valentine’s day! Oh, no, don’t even think that way… I did NOT eat them! There is no way that I opened his gift and satisfied that chocolate craving. Not Me! I am really looking forward to hearing what you did NOT do this week at McMama's Blog on Not Me Monday! Nice - eating your husbands candy. I am glad you did not get into an accident when you did not cause a commotion looking at a piece of hail! I would never use unconventional devices to hem/hold up my clothes, either! Hey, glad you stopped by my blog! You ate HIS gift? Oh how funny! Hope you have a fabulous President's Day! Not me, eat my fire hubby's gift. Come on. Not me! This was post was so funny!! I've so done that too with the candy! In fact, this year I bought my kids' preschool teacher a box of candy and then decided the night before that she was probably gonna get tons of candy anyway from other kids, so I ate hers!! Nothing like some Nots to make you feel normal. Glad I'm not the only one not eating candy. Um....that equation is broken. I've tried it. Dang it. 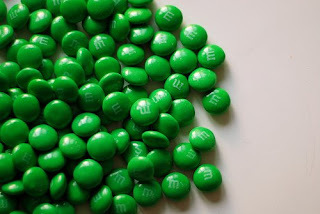 i think it's funny that you got green m & ms for valentines day. . .hmmmm. i remember being in middle school and the rumor got out that green m&ms make you .... um nevermind. probably just a rumor. and kudos for being in the top 10. nice. I like the picture addition at the end of your post!! I did not run 4 miles this morning only to contemplate just now how I could get mu hands on some chocolate. Ugh, dang diet! Too Funny ! So glad you DID NOT do all that stuff! I have NOT been raiding my son's bag of VDay candy...NOT ME! Well at least when you had your chocolate fix you worked out to combat it!!! Love the hem fix! That one is really great! Oh you made me laugh! Your cute ~ I like the last one with the pic's! Very cute...I ate my son's valentine choclates too the week ealier and did NOT replace them until Fri b/c I knew I would just NOT eat them again! Oh MY! You had me roaring with this one! Love the last m&m+curves equation. LOVE IT!!! Not a guy thing to do, but I have a small sewing kit I keep in my car I've kept from boy scouts way back when. White, brown, and black thread with a needle incase some part of my clothing rips. I can't sew worth a flip, but I can patch things up if I need to! Only had to use it 3 times, but I'm glad I have it.